Categories is an exciting new addition to the Spotlyte social management platform enabling you to better manage and curate your content. Define your categories and manually sort your content into each category, and define rules to automatically sort content as it's collected into your Spotlyte. You can define rules to automatically sort content as it arrives into your Spotlyte. Rules can be as simple as a hashtag, or several keywords. As we collect content, we'll search through all the text of a post to see if it matches your keyword rules. You also have the option to manually move a piece of content into a category if it doesn't happen to match any of your pre-defined rules. Let Spotlyte's category rules curate your content for you. Imagine being able to create a gallery of videos from top influencers that continually updates throughout a campaign. There are several ways to use Content Categories in the Spotlyte display editor. You can simply use any of the existing themes and use the Categories as a filter. You can limit the content to a single category, or a combination of categories. For example, you might be a travel destination with lots of physical activities. Tourists to your city have created eye catching photos of all the wonderful things to do around town, including hiking, skiing, fishing, and mountain biking. You can create a specific category for each of those activities and collect the relevant content. On your website, visitors that want more information about skiing might only be shown the skiing gallery. But a visitor looking for all physical activities might be shown a gallery of all the activities. These types of dynamic, filterable categories of user generated content enables you to create exciting websites for your visitors. You can also use the new Tabbed Content Grid to display all your categories in separate tabs. Specify which categories you want to display, and Spotlyte will automatically create a set of tabs to match those categories. Quickly and easily create a page of content that is easily navigable by your reader. Allow them to click each tab to discover more content. In a prior article we talked about the benefits and power of including call to actions alongside your content. Have a particular goal or action you want your visitors to take, such as buying a product, signing up for a newsletter, or simply reading more information about a topic? Simply specify that call to action and your post will be annotated with proper text and buttons to guide your visitors to the next step. With Categories, you can now apply call to actions to an entire set of posts within a Category. 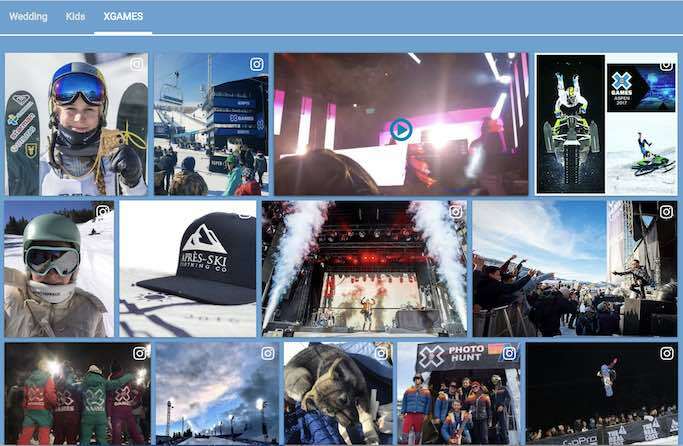 This can be extremely useful if you want to guide users looking at any of the skiing photos to your local ski resort. Or let's say you have a content sponsor or partner that provides special content mixed in with your regular user generated content. You may wish to annotate your partner's content with special text and links to their website or their information. We've added another powerful tool to your content marketing toolbox. Create pages of dynamic galleries with a few clicks of the button. 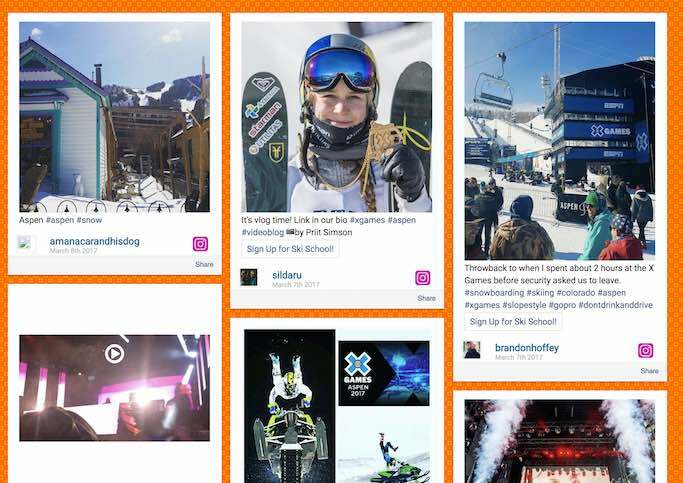 Let the Spotlyte team show you how to incorporate user generated content in your next project.